Ask fellow campers about "Clear Creek Cove RV Resort" and nearby attractions. We are staying long term in this resort and it is a gem. The sites are comfortably large enough to see your neighbors without rubbing the awning on their slide out. The gravel roads are well maintained, the play area is cute and the beach is white sand for at least a 100'! Boat piers, covered fishing pavilion, excellent pricing. WIFI and cable available at every site and 50 NEW sites are cut in and getting utilities. The mountain views are tremendous and the lake view sites are serene and comfortable. 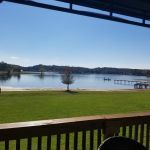 We camped at Clear Creek Cove RV Resort in a Motorhome. They have stopped doing nightly spots, but if you want a spot for a month or more you can't ask for a better spot. 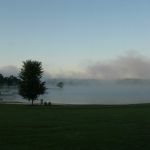 We camped at Clear Creek Cove RV Resort in a Motorhome. The people here are wonderful to work with. We had a great time! The beach is well maintained and the fact that we could leave our boat in the water was nice. The Wi-Fi is only available if you sign up for it through a local company but that was okay, we came to camp, not be on the devices. The sites are all wired for this company to provide internet, phone and cable which is great for long term guests. At this park you can stay as long as you like and the rates start at $200 a month. We are going to stay! 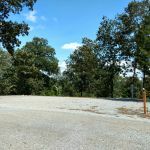 We camped at Clear Creek Cove RV Resort in a Motorhome. You gotta try out the Back Porch right down the road. Sitting under the big Willow tree overlooking the lake. Also go to Barber Motorsports. 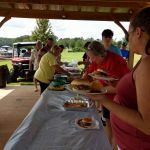 Are you affiliated with Clear Creek Cove RV Resort ?